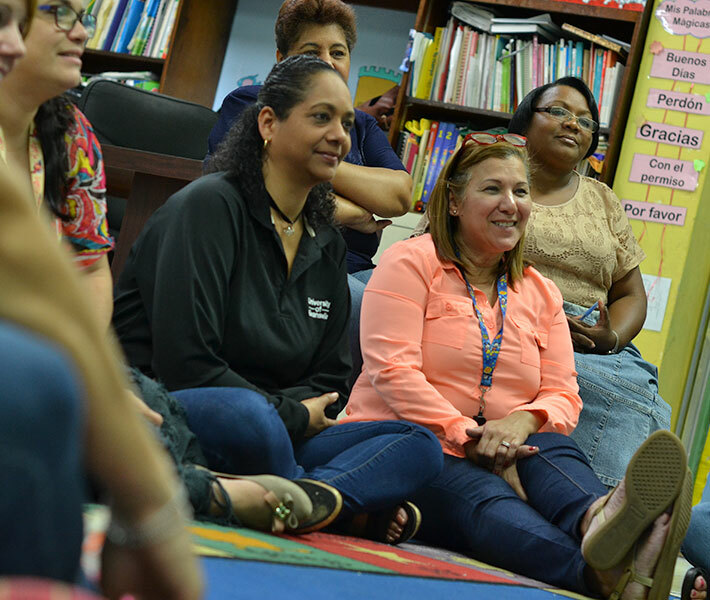 Herramientas para comprender is a comprehensive professional development pilot program that builds teachers’ capacity to help young readers process text, understand its meaning, and integrate it with what they already know. This groundbreaking portfolio of reading comprehension tools includes curricula, assessments, and supplemental materials for early grade teachers to use in their classrooms as well as trainings to support implementation in schools across the island. Through this pilot program, teachers learn to use research-based practices to teach students how to read. By working together, teachers build their skills and incorporate them into their daily lessons with students, reflect on their practice, and receive feedback on their teaching. Herramientas para comprender is working to shift teacher mindsets by redefining what reading comprehension is, helping teachers understand their essential role in building students’ reading comprehension, ensuring all teachers have high expectations for students’ reading.